“Revision” is defined as “the act or procedure of revising… change, modify; a corrected or new version.” Perhaps it was with this intent that the historian Geoffrey Shaw in The Last Mandate of Heaven: The American Betrayal of Ngo Dinh Diem, President of Vietnam (Ignatious Press, 314 pp., $24.95) attempts to modify—or even correct—the story of former Republic of Vietnam leader Ngo Dinh Diem. Unfortunately, what the reader is given is neither new nor correctly modified. What we have instead is a reworking of the facts of the well-documented overthrow of a controversial twentieth century figure. The facts, however, simply cannot be altered, even though some may have been “lost down the memory hole,” in James W. Loewen’s phrase. Shaw believes that Diem—a misunderstood, “betrayed” U.S. ally in the 1960s, and a person who was close to being a “man of the cloth” (a former seminarian and life-long celibate)—was removed from office and assassinated due to conflicting religious beliefs. In other words, the author is seeking to modify or revise what has clearly been established. 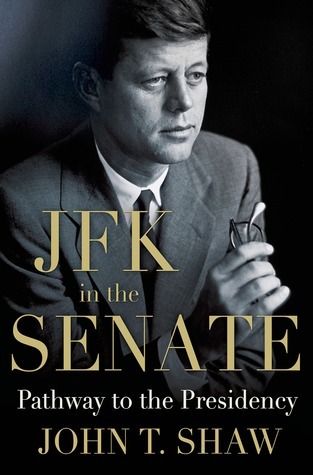 As the historian Mark Moyer puts it: “Shaw reveals how the anti-Catholic crowd in the U.S. State Department manipulated President Kennedy to authorize the removal of South Vietnam’s first president.” What may be referred to by some as religious propaganda, this book looks at a particularly ugly time in our history. A closer look at the facts may provide a differing view. Shaw, the president of a counterinsurgency warfare think tank called the Alexandrian Defense Group, explains the Diem policy of appointing only fellow Catholics to government positions by saying that there were fewer qualified people (“killed off by the Viet Cong”) and that only the Catholic schools in Vietnam were adequately preparing students for public service. Plus, the Buddhist infrastructure, he says, was unable to provide leadership. Even more importantly, the Vietnamese Roman Catholics were staunchly anti-communist. Essentially, the argument becomes one of religious dogma: Who were the most ardent anti-communists and who suffered most at the hands of the Viet Cong? I believe that the political arena is best left void of religion. Diem, a modern-day Junipero Serra, offered much to the peasantry of Vietnam. But that came with enormous costs. Ultimately, it took the American press to shed light on the opportunism and exploitative practices of this controversial leader. In 1962 and 1963, American correspondents David Halberstam of The New York Times and Neil Sheehan of UPI wrote that the war in South Vietnam was being lost mostly because of Diem’s corrupt and self-serving government. Diem’s Strategic Hamlet Program was a “sham,” they wrote, and also caused “avoidable military losses involving American casualties.” Shaw writes that despite praising the correspondents’ research and writing CIA Saigon Station Chief William Colby thought they were wrong.